Youtube really rocks . Recently I realised that youtube has a really good collection of old tv shows that are not longer aired anymore. One such show is SpidermanUnlimited. 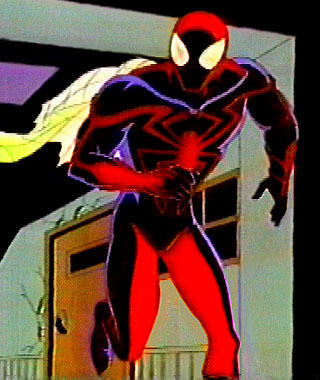 This series aired in 1999 and continues where the first one, Spiderman the Animated Series, left. As compared to the former, this one takes place in Counter Earth where spiderman gets stuck after his spacecraft crashes, trying to rescue Jameson's Son. extinction of humans, by the more dominant Beasts (Mutants). How Spiderman joins forces with the humans to fight for the liberalisation of Humans, is what the series is all about. Season 1 had 13 eps, but the next season was scraped off as the tv ratings was dominated by a show called "Pokemon". The ending is a cliffhanger, leaving the audience wanting for more. In 2 days, I finished watching 2 good series, Grey's Anatomy and Spiderman, both of which were amazingly good and a must watch.